Up to half a million patients with chronic low back pain may be suffering from an infection that can be treated with antibiotics. If proved true, the revolutionary theory about the cause of one of the commonest and most debilitating ailments should win its discoverer the Nobel Prize, one surgeon said today. However, the paper describing the research based on just 162 patients was turned down by the leading medical journals such as the Lancet and BMJ. 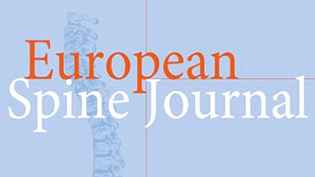 It was published today in the European Spine Journal. Researchers claim the treatment could be suitable for up to 40 per cent of patients with severe, long term pain for whom the only alternative is surgery. However, it is not as simple as replacing the painkillers with antibiotics. The treatment requires an MRI scan to detect distinctive “Modic” changes in the spinal column – named after the doctor who first observed them in the late 1980s – which are indicative of bacterial infection.